Our Slots are Authentic Las Vegas One-Armed Bandits with all the Bells and Whistles! 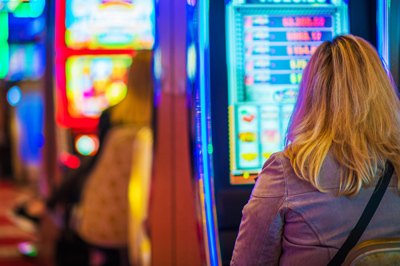 Add Slot Machines to your Casino Night and watch your guests smile! Ask about our Package Deals, as we are happy to give you as many Slots as you would like and the price gets lower when you order 2 or more. Our Slots are Authentic Las Vegas One Armed Bandits with all the Bells & Whistles! Call us now at 978-376-4111 for More Info!